As the days grow longer and warmer, you may be packing away your winter clothes and tackling some spring cleaning. When I am prepping my closet for spring and summer, I like to go through my clothes and clean out things I know that I won’t wear in the upcoming seasons. Trends change much as the seasons change. We may see bright neon colors one year, while pastels are popular the next. 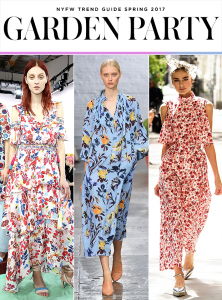 One thing seems to be constant each year as spring arrives, bright floral is popular both on the runway and in the garden! 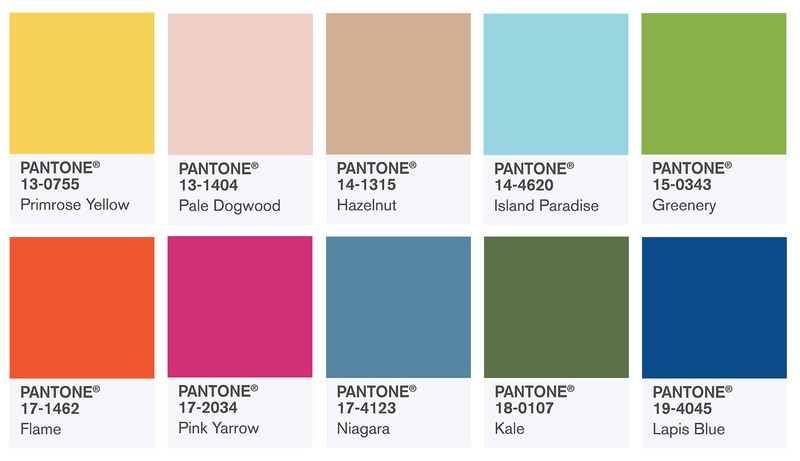 Each year, Pantone Color Institute releases a list of “Colors of the Year”. 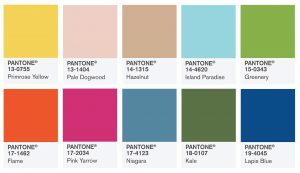 Many fashion designers will use this color palette to give them inspiration for their designs. This spring, many of the trending colors we’ve seen are reminiscent of the hues you may find in the garden. In the Pantone Spring 2017 report we see hues of blue, yellow, green, and even pink. You can find a complete breakdown of the list here. Leatrice Eiseman, Executive Director of the Pantone Color Institute stated, “Reminiscent of the hues that surround us in nature, our Spring 2017 Fashion Color Report evokes a spectrum of emotion and feeling.” We see Primrose Yellow that reminds us of a sunny day, much like Winter Sun™. Pale Dogwood is a blush pink hue that is considered the “new neutral” this season, it also makes a great addition to the garden with the NEW Bliss™ Parfuma® Rose. We could go on-and-on about these beautiful colors! Take a trip to your local department store or boutique, and you will probably see patterns that may remind you of the blooms in your garden. Bright and vibrant patterns and colors are all the rage as the months grow warmer. Colors such as blush pink, yellows, blues, and even green like the glossy foliage of a rose bush will often be the inspiration for these fabrics. You may have the famous quote from The Devil Wears Prada running through your head right now, “Floral? For Spring? Groundbreaking,”. 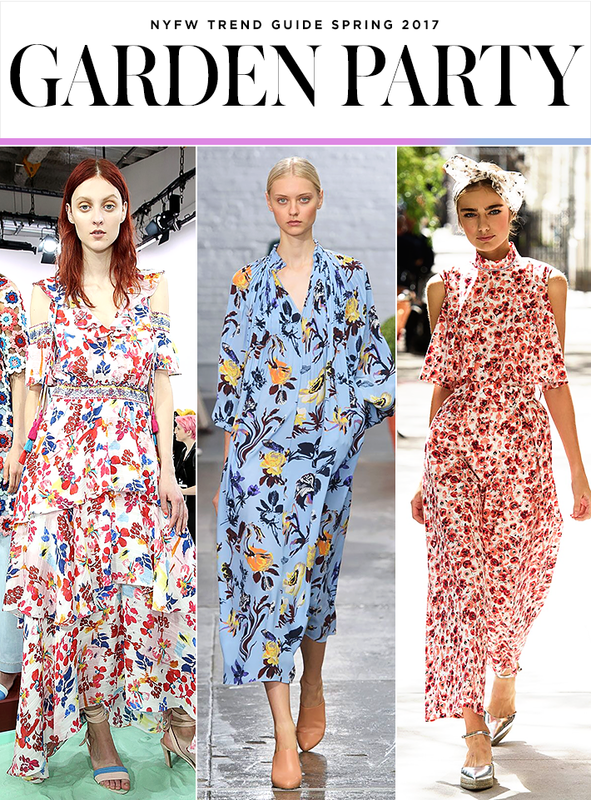 Yes, it’s true that floral patterns make their debut almost every year in the spring and summer seasons. However, this time around, they seem to be even better than before. This trend is not limited to tops, pants, and dresses – even bags and shoes are included! Neon peonies, ruffled double roses, and even blue blooms are popping up all over runways – and gardens – this season.